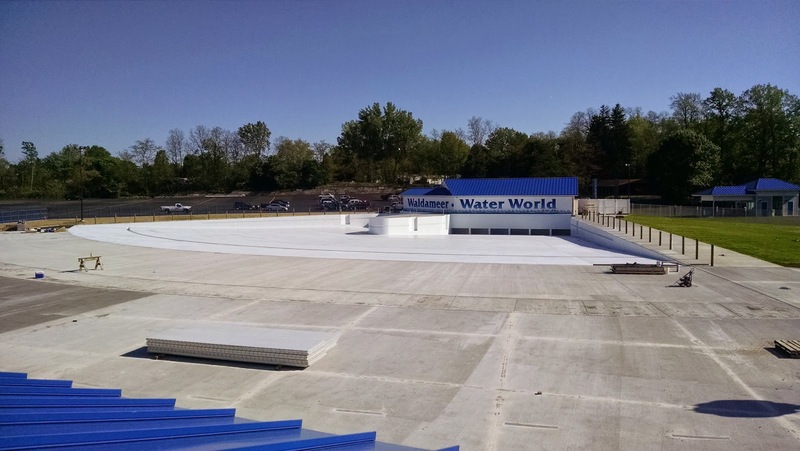 Memorial Day Weekend marks the unofficial start of Summer, and we are only a few waves away from opening our highly-anticipated Giant Wave Pool. 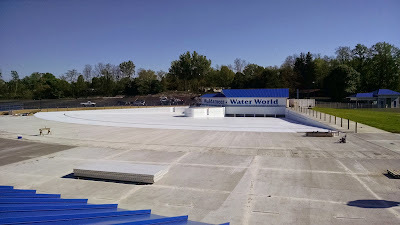 Crews are working seven days a week to have the Giant Wave Pool Expansion ready as soon as possible. Today we are not only going to see the progress of the expansion, but we will give you an inside behind-the-scenes look into all of the equipment needed to make our waves possible. Concrete is almost complete. 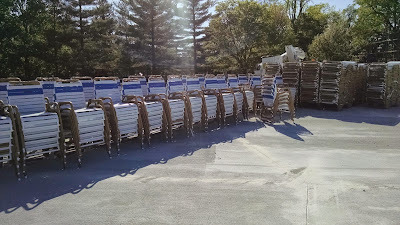 Only a "few" lounging chairs to arrange. 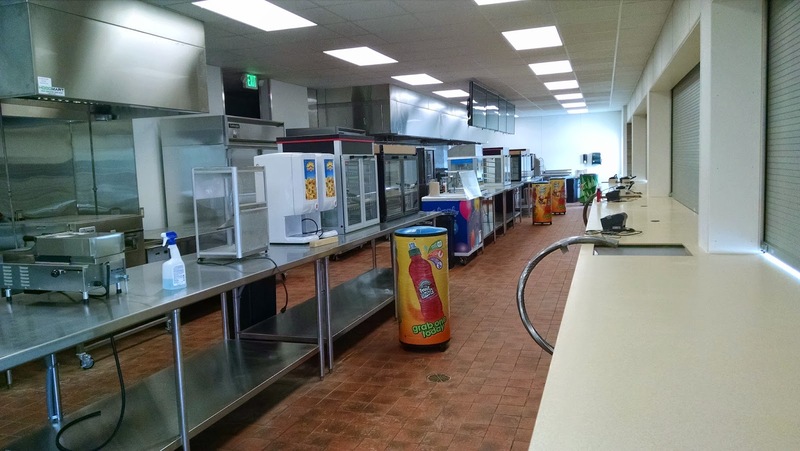 Waveside Grill eagerly waits to serve thousands of hungry families. 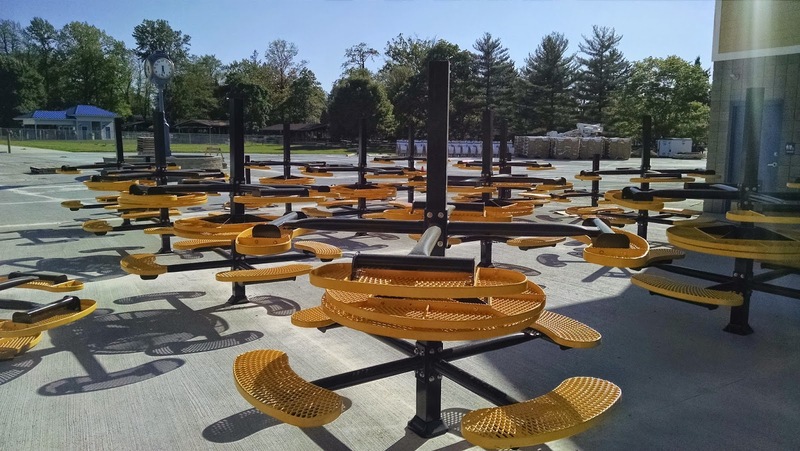 Dozens of tables ready to be set for you to enjoy all of the new delicious offerings at Waveside Grill. Finding our way behind the scenes, you might have this question.....What does it take to create 4ft high waves? 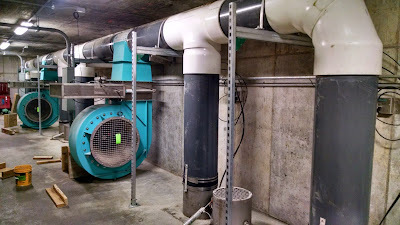 These massive pumps and blowers will do the trick, and these are only for one side of the pool! 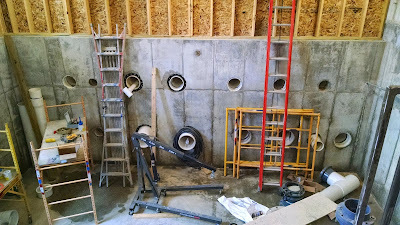 Looking a little further into the future, we set aside an area in the Wave Pool Pumphouse for future additions. 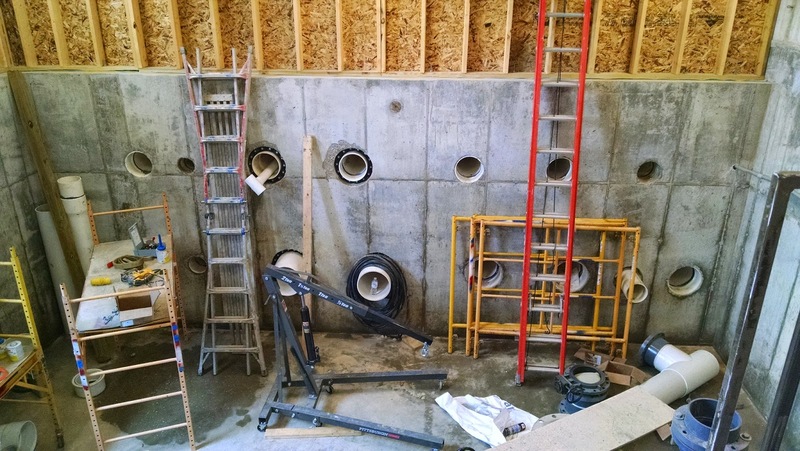 These pipes will serve the Children's Spray area as well as a multi-level Children's slide complex. If you need a break from the waves, make sure you check out our plans for Water World's future. 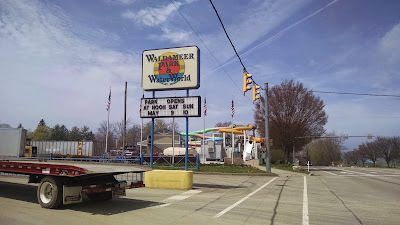 Some wet and wild thrills are on the horizon! 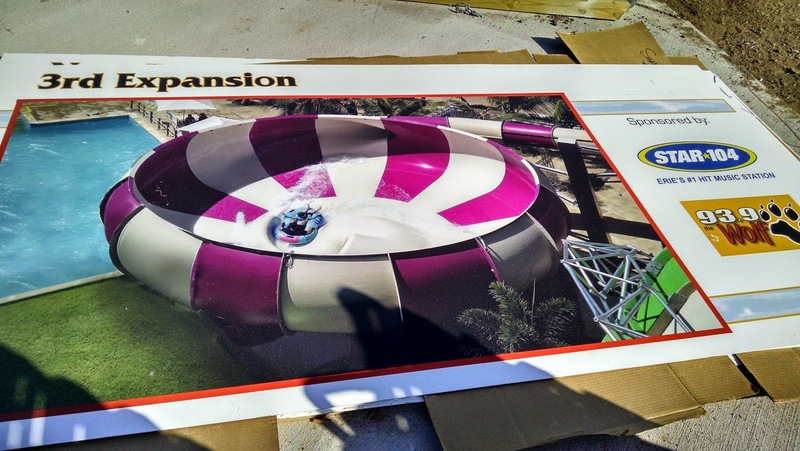 The excitement is building, and we are only a few waves away from unveiling our largest expansion to date. Keep a close eye on our website, Facebook, Twitter, and local media outlets for the Opening Day announcement of our Giant Wave Pool Expansion. The 2015 Season is only a few days away from getting underway. As the amusement park opens this weekend, be ready to experience a transformed south end of the park thanks in part to the Giant Wave Pool expansion. 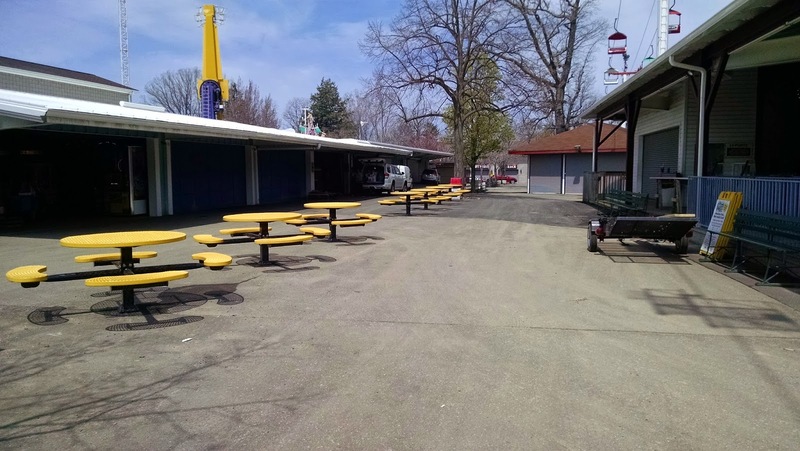 Some of our early bird visitors for Season Passes and picnic planning have already been stunned, and even slightly lost or confused, because of how radical the changes to the midway are. 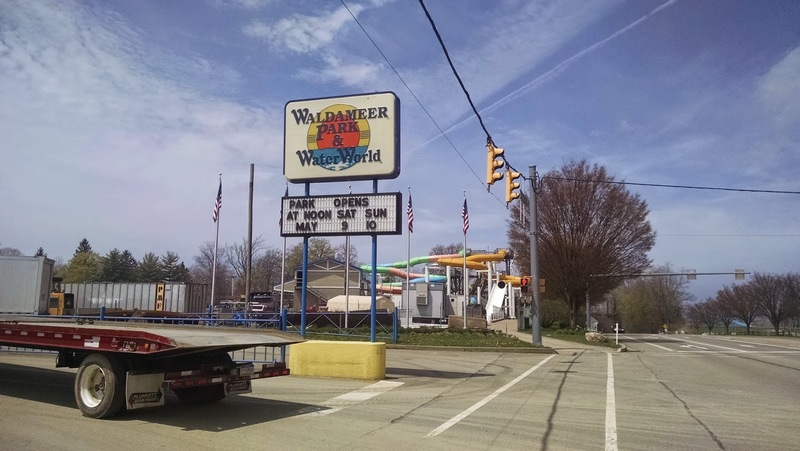 So to prepare everyone for their first visit to Waldameer and Water World in 2015, whether it be this weekend or in the coming weeks, WaldaBlog has your grand entrance mapped out to keep you on the right path to family fun. Seems like the entrance we have always known. But right as we turn into the parking lot, we are greeted with a smooth, clean blacktop parking lot. A long-anticipated change from the dusty bumpy field. 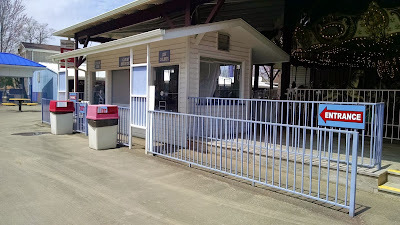 Once you find your parking spot, just behind the Giant Wave Pool you will find the admission booths. 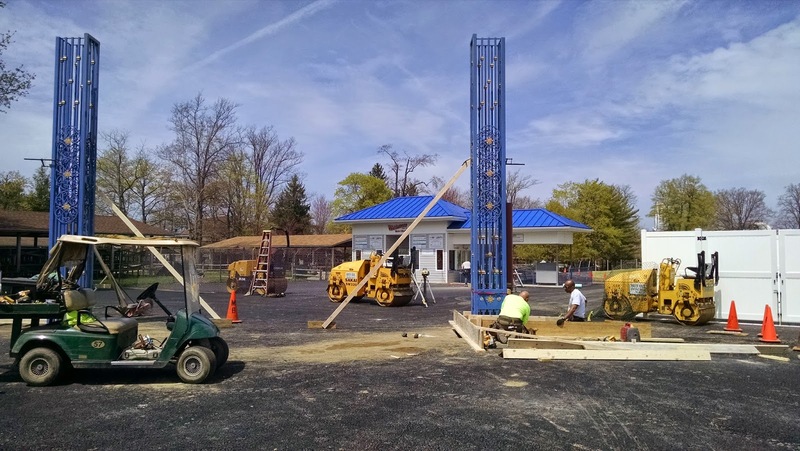 Crews are also working extended hours to have the beautiful new archway set to greet guests arriving to Waldameer. 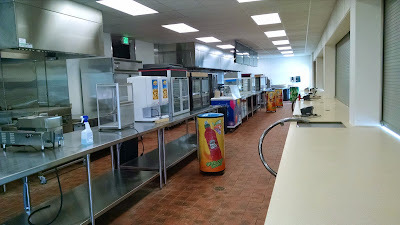 Pardon our dust. 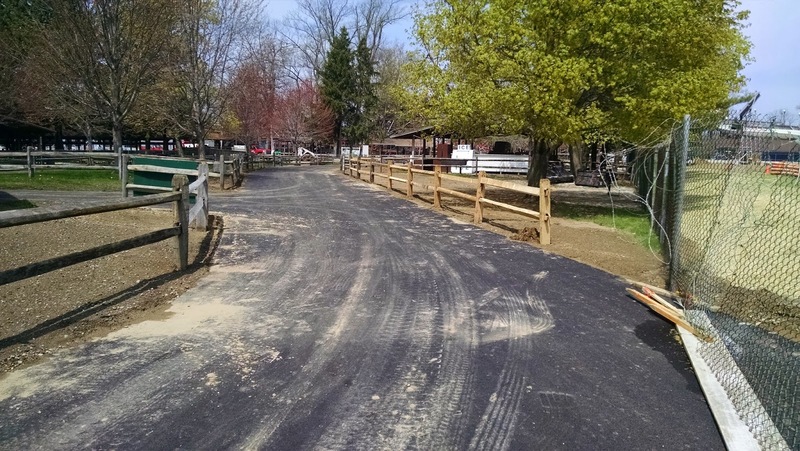 Once you pass through the admission booths, this path will take you into the park. Make a left and cross the L. Ruth Express tracks. 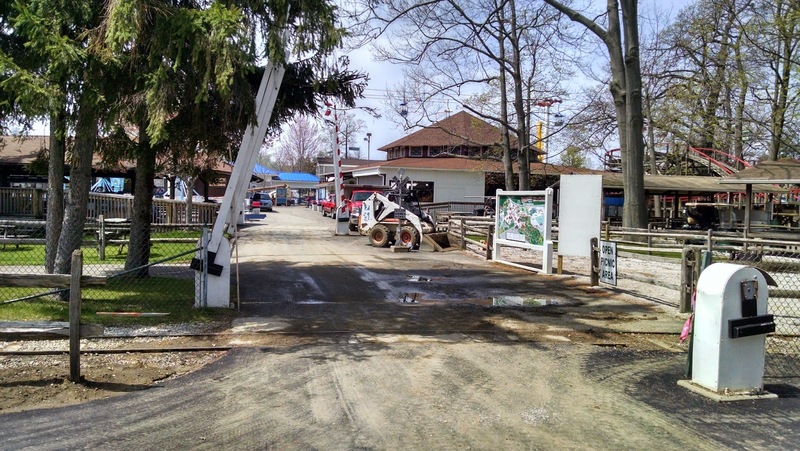 Don't forget to process your 2015 Season Pass at Guest Services! 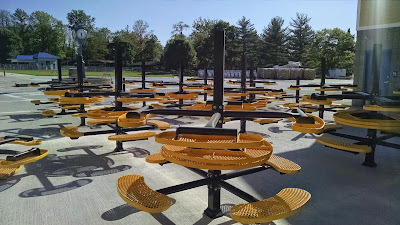 And you are officially in the park and ready for fun! 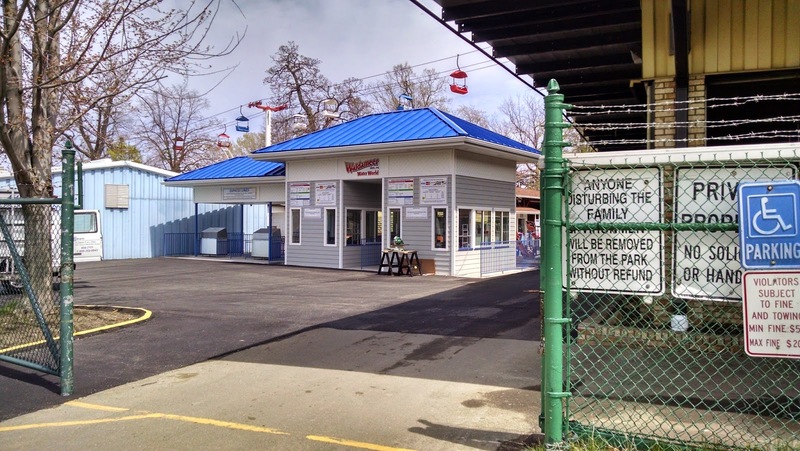 Removal of the former ticket booths has dramatically opened the midway to ease congestion and provide a nice place to enjoy delicious Waldameer Sub Shop sandwiches. 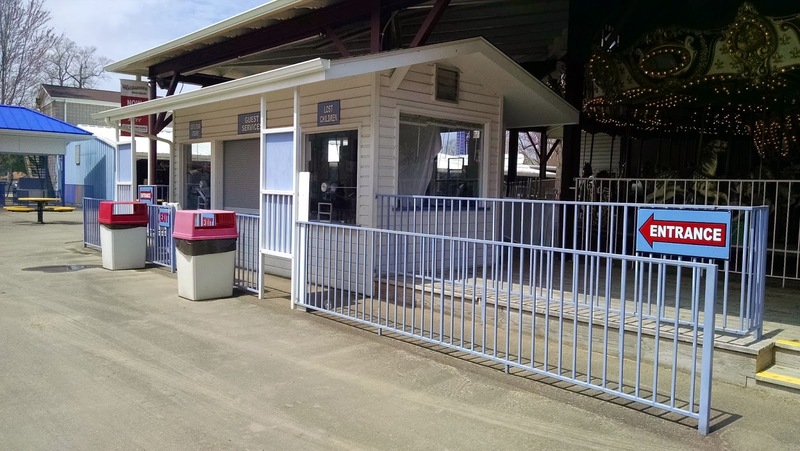 For those of you using our 6th and 8th street parking lot, another new set of Admission Booths can be easily found at the Dodgem Entrance to the park. The finishing touches are being applied right in time for Opening Day. 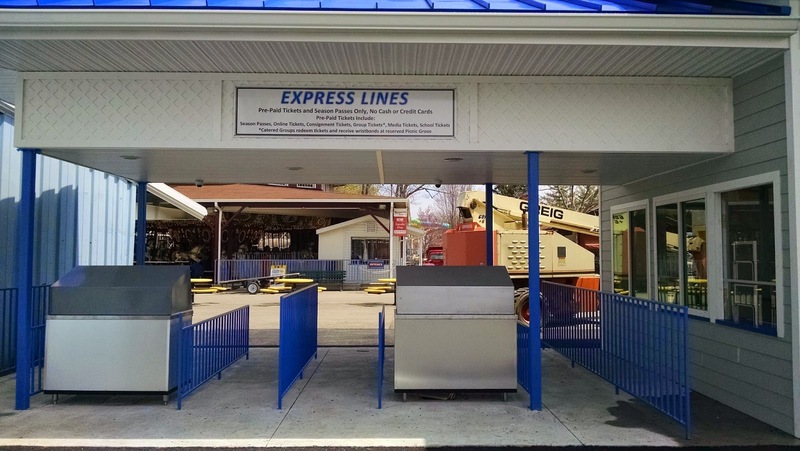 If you already have your 2015 Season Pass Processed, getting in the park will be a breeze with these fast Express Lines. It will be a mad dash to the finish putting the last pieces in place to have Waldameer ready for Season 119, but we can't wait to officially unveil our new Grand Entrances this weekend as well as the Giant Wave Pool complex in just a few weeks!